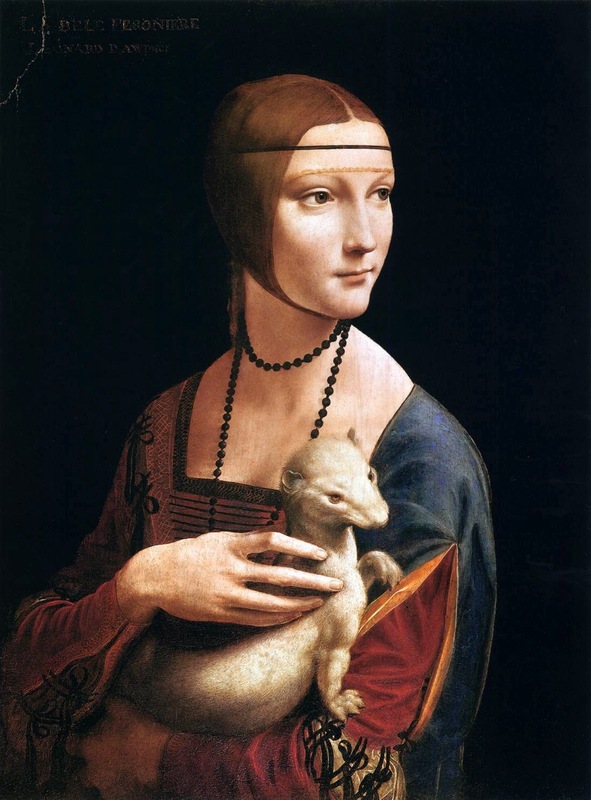 Lady with an Ermine is a painting by Leonardo da Vinci from around 1489–1490. The subject of the portrait is Cecilia Gallerani, and probably was painted at a time when she was the mistress of Ludovico Sforza, Duke of Milan, and Leonardo was in the service of the Duke. The painting is one of only four portraits of women painted by Leonardo, the others being the Mona Lisa, the portrait of Ginevra de' Benci, and La belle ferronnière. It is currently displayed at the Wawel Castle, Kraków, Poland.